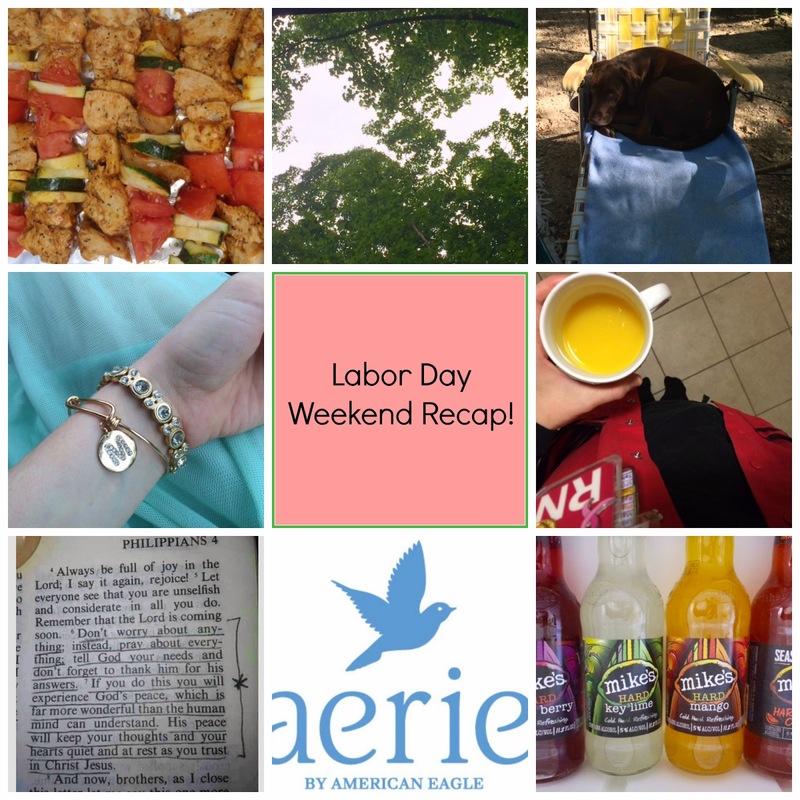 Made In The Shade Blog: Labor Day Weekend Festivities! It's always just a little sad when a long weekend ends, especially if it was filled with a lot of fun things. Mine ended early on Sunday night, but it was still a productive few days off! I hope all your holiday weekends were great! Here is how I spent mine! Camping was the first thing on our agenda for the holiday weekend! We were able to leave on Thursday afternoon, and then planned to come back on Sunday morning. We actually came back Saturday evening because of the rainy crappy weather, but that didn't stop us from eating great food - enter chicken kabobs. Ollie dog just loves lawn chairs! Since we came back early, Sunday morning we went to church. I wore my mint tulle skirt to get all the fun springy colors in since I feel like fall is finally arriving. I just love this skirt and can't get enough! Not to mention my monogram bracelet from Charming Charlies! I got up bright and early at 5am on Labor Day to head to work. The great thing about working on a holiday is that its a lot slower than during the week, and has a much more relaxed feel. Not to mention the holiday pay, so in my opinion it was worth it! I found this bible verse (Philippians 4:6) while browsing on pinterest. I know I have heard this many times before, but it was so good that I had to share. Not to mention, so true! If you are looking for a good daily devotional to read, try the book Jesus Calling. It really is one of the best I have found! I know many of you took part in the Labor Day sales, but if you didn't get something at Aerie, you missed out. They had the best deal I found! Everything was buy one get one for $5, free shipping, and 20% off on top of that! I pretty much stole a lacy sports bra and floral leggings. Linking up a day late for this link up! Love that monogrammed bracelet!!! And I'm definitely going to have to check out those Mike's Hard Lemonades, yum! If you're going to work on a holiday - it's great that you get holiday pay for that!! I haven't had Mikes Hard Lemonade in years - but since I'll be in Florida soon, best to try one again!! Looks like a fabulous weekend! Mike's Hard Lemonade in Key Lime is one of my favorites - it's so refreshing on a warm summer day. My husband is a pharmacist, so he also was working yesterday - gotta love the health care system! Happy Tuesday! what a great deal at aerie! i did no online shopping this weekend, and barely any real shopping which was good for my wallet, lol. that bracelet is super cute! Those kabobs and Mike's sound delicious, and score on the Aerie sale for sure! What an amazing weekend! Glad you got to camp again and now I want a Mikes hard lemonade! Sounds like a great weekend! I just love camping! Stopping by from the linkup! Jesus Calling is one of my favorite daily devotionals! Sounds like a perfect labor day aside from the rain! You're always so positive. Love that about you. One of my favorite verses... and Jesus Calling is my all time fav! Chicken kabobs camping? Yum sounds much better than the usual hot dogs. 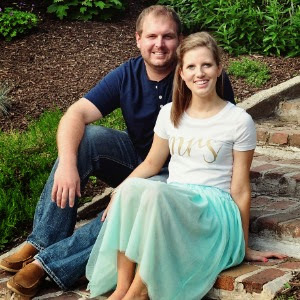 Also, I just stalked your wedding page--I love how detailed your wedding was! So gorgeous! I was so busy with friends this weekend that I didn't have time to do any shopping (however I'm sure my wallet thanks me). Sorry you had to work on Monday, but it looks like you made the most of your weekend! That's a favorite verse of mine too! And now I need to try that Key Lime flavor - I love key lime anything! I love your bracelet so stinking cute!!! And I always find myself reading over that bible passage! I tend to always overthink and worry worry worry! 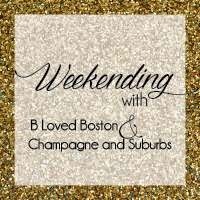 You weekend looked wonderful! I never liked plain Mike's... I'll have to give the new ones a try! Such a great monogram bracelet! I bet you were the cutest person at church with that tulle skirt! Looks like you had a great weekend! And that verse is one of my favorites for sure. xo! wow that was quite the sale!!! I heard their lace bras are really comfortable!